The setting is in the middle of the Arabian Desert, northeast of Riyadh, Saudi Arabia. All buildings have been built the age-old way, with traditional “post and beam” construction, which consists of concrete columns and non-structural block. There aren’t any structurally engineered reinforced masonry buildings anywhere in the land; that is, until now. 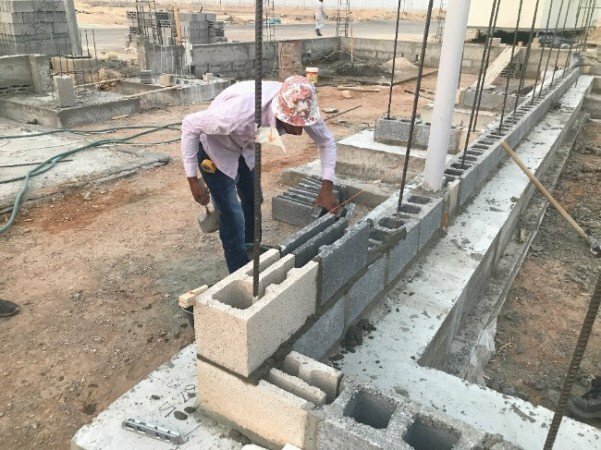 The undertaking was monumental, but the Bescopac at Saudi Readymix produced Omni Block, easily meeting ASTM C-90 and C-140 specifications. These units were transported to the job site and married with the EPS inserts that were used to construct the first structural block reinforced masonry building in the region. 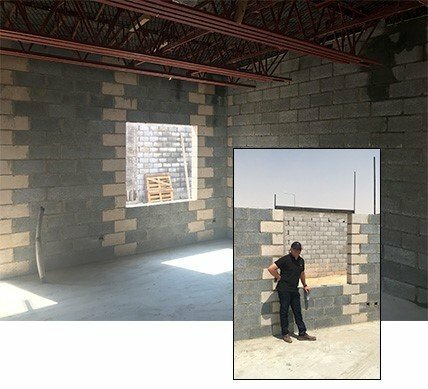 Denny remained onsite throughout the entire construction process, determined to see the complete block installation and be available to address any concerns as they arose. During construction, many obstacles were overcome, including daytime temperatures reaching 120°F, the King decreeing that all construction had to stop by noon each day, and that the most holy of Muslim holidays halted construction for 10 days. Still, three Egyptian masons laid all the block for the two story, 3200 sq. ft. house, in 14 actual work days. The process for getting this project approved and constructed was a long and arduous task, but well worth the hard work. 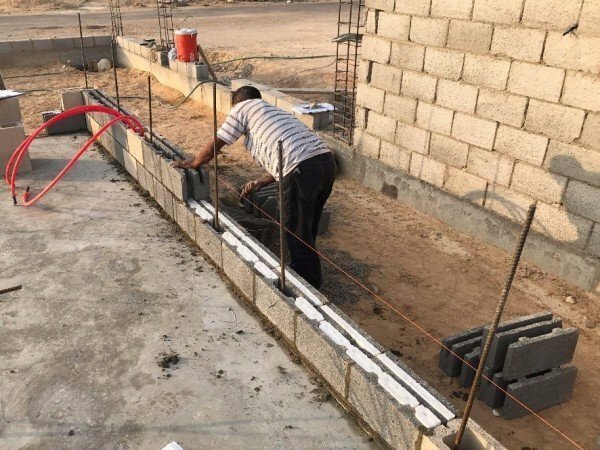 The Ministry of Housing from the Kingdom of Saudi Arabia has visited the “show villa” and has reportedly said, “I really like what I see here,” meaning that indications are promising that homes constructed of Omni Block will continue to be built to provide extremely energy efficient and attractive residences for people throughout the region. The doubters were silenced and those involved are astonished, proving that yes, it can be done. The first Omni Block stretcher units laid. Robert Hofman, CEO of Al Tahaluf, stands in the new building, silencing the doubters and astonishing those involved, proving that yes, it can be done. The 3200 sq ft (297 sq m) project was laid in 11 days by 3 masons.